I’ve been a little quiet around these parts this week and the reason is this! Welcome to the new look Mummy Daddy Me. I am so excited it’s finally done and I can breathe a sigh of relief that ‘hopefully’ bar the odd thing here and there, it’s all working properly and how it should. When I sat down one day in March 2011 to start this blog I never knew where it would lead. I am not known for sticking at hobbies, in fact over the years I have had countless ideas that haven’t really worked out. I learnt Arabic for two weeks and played the flute for about a month. But for some reason right from the word go, blogging and capturing our memories just became such a huge passion of mine. 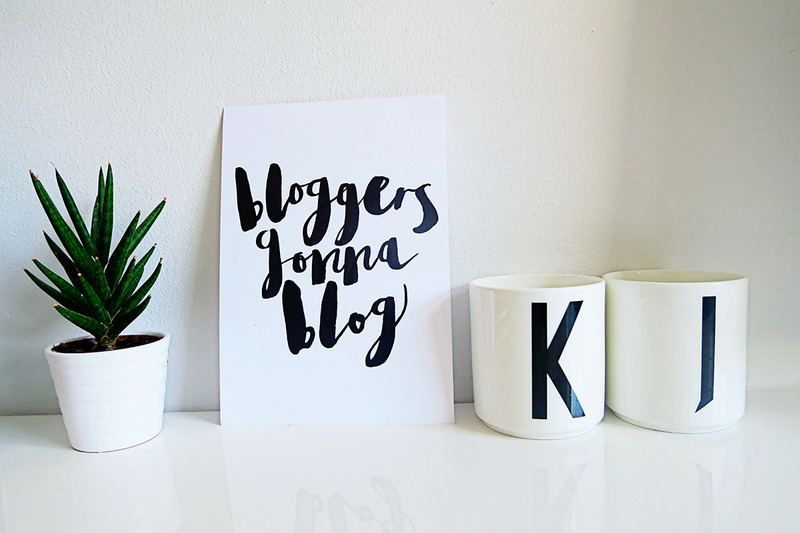 I pinch myself every single day about what blogging has brought to our family. We’ve recorded so many memories and moments that we otherwise wouldn’t have done, I have gained a passion for photography that means I’ve taken so many lovely photos of my girls, and I’ve met some amazing people and inspirational women who I am lucky enough to call my close friends. I still can’t believe that through lots and lots of hard work, this blog now forms a big part of my income and I get paid to do something I love. I know I say a lot that I am grateful, but I really really am. I can’t quite put into words how it feels to be in part living a dream of mine- to be working from home and for myself. Plus of course all the travels and adventures we have had along the way. I can’t write it without it sounding cheesy but I feel so lucky every day. Of course it’s incredibly hard work, it’s been four years of working on it non stop, and sometimes I wish I could switch off and get a ‘normal’ job where I can come home at the end of the day and think about nothing else but watching trashy television and eating chocolate. But I wouldn’t change it for the world. Blogging is amazing and it’s such a supportive and fun world to be in, I think it’s only going to get even more exciting. Anyway I have completely digressed. When I started it four years ago, I used a blogging platform called Joomla as Mr E set it up for me. You probably haven’t heard of it, unless you’re in the ‘business’ you will more than likely be using WordPress or Blogger as they are the two main ones. And Joomla and myself got on great for a while but as the years went by my blog started to get more and more riddled with problems. It was hacked countless times, was hard to manage behind the scenes and it was so time consuming to format photos and words on a post. Even adding a few photos to a post took about an hour because of the way you had to upload them. These problems were mainly behind the surface and in my back end (that sounds rude! ), but even to look at my site there were lots of things I didn’t like. I hated that I couldn’t have a basic search box, which meant that searching for my old posts was a nightmare, I hated that sometimes it loaded slowly and the pictures jumbled up when you were on a mobile (I got so many people emailing me to say that it wouldn’t load properly for them when they had a bad internet connection) and I hated that because of the fact there were issues behind the scenes, it meant I also couldn’t really update much in regards to the look of it. I also just felt it was starting to look a little ‘tired’ and not very modern. But at the same time, I just never felt right about switching. Switching to wordpress meant that I would lose a fair few of my links etc, mainly due to the way in which my url’s were set up previously. Also we couldn’t find a way to get my old comments over and I was sad that I would lose such a big sentimental part of my blog. Plus the longer the time went on the harder it was to switch it over as there was just so much information. It’s not as simple as it is with switching from Blogger to WordPress, as I effectively was using a couple of different Joomla blog platforms within one blog. It’s as complicated as it sounds. I was always moaning to Mr E about it but I never did anything about it. I came home from a day out with the girls last week, after the previous evening moaning to Mr E that it was loading weirdly again, to find that he had started to migrate it over and rebuild it on a temporary domain. He managed to figure out a way to do it that meant I would be able to keep most of my comments and other bits and bobs that I had previously been worried about. So we decided to make the decision to do it- to make the switch and redevelop my site. It’s been a long week. I initially thought it would take us weeks to sort but I happen to have an incredible husband who has spent hours upon hours sorting it out for me this week. He has worked on it all day every day, which means he has a lot of client work to catch up on. We’ve been staying up till 1am most evenings sorting it out. Even as I write this we are currently in the process of transferring 45,000 files over from one site to another after spending most of today (Sunday) with it having a problem being reinstalled. Mr E is a front end developer and designer and he knows his stuff, but he’s had to do some really deep dark coding to get it switched correctly. We’ve even been on the phone to one of his developer pals via skype when it all got a bit confusing. And now it’s done. I couldn’t be more thrilled with the way the site looks. He’s completely redeveloped it behind the scenes and I love it so much. I kept with our original header as I thought completely changing might be a little too much all in one go, but if you are a regular reader you will see that the overall look of the site has completely changed. I have also rewritten and refreshed all my main pages, including my about us, work with our family, hire me and blogs I love pages. I’ve also added a new little ‘questions’ page which I love too. I really like all the main menu bar functions and I really like our new page dedicated to all ‘our little films’, as making them is my new favourite thing to do. And I finally have something as simple as a search box- yay! I think it looks really different but overall I am really happy with it. It might sound a bit silly to say that we have both been working on it all week, after all it’s ‘just a blog’ but besides the fact that it is of course in part a commercial site that I earn money from, the main thing is that it’s become such a huge part of all our lives. It’s our diary of our family and it means so much to me. It’s hard to explain to people who aren’t bloggers, but I know my fellow bloggers will ‘get it’- it’s almost like my third baby and my number one passion. I know it probably means nothing to people who continuously change their designs but to me who has had the same style blog since I started it four years ago- with the usual sidebar to the right and the main blog posts on the left, it couldn’t be more different. I am so pleased with it and I really want to thank my husband who will no doubt read this. Thank you Mr E for being so incredibly supportive of me and all my passions- you truly are the best. I know I am not the easiest person to work with because I care so much about this little space and get so worried if things don’t go according to plan. Which they didn’t on a few occasions this week because it was such a big job. I’ve had to sacrifice a few things, I am going to have a fair few broken links- a few of my links will redirect but we just couldn’t do all of them, which means it might take a little time to build things back up. But it’s 100% worth it. There’s also a couple more things to finish off but overall it’s how it should be. Anyway I hope you like my new little look and if you see any problems or things not looking the way they should then let me know- it’s all a work in progress after all. I feel like it’s a big change, but I really do love it. Katie I absolutely love it. It looks AMAZING and oh so technical and flash!!! What an amzing man you have to do that for you, to know there was something you were finding hard and just wanted to help fix it…for a whole week – what a keeper!!! I knew that when I popped over for a nose it was going to be just gorgeous and you’ve not disappointed! A long time reader of your blog Katie and I LOVE the new look!! I’m a front end developer as well, so can fully empathise with the pain you must have had this week, but as you say, it looks amazing so well worth it! Ah thank you so much Christine- I really am thrilled with it. Yes it was an absolute nightmare, not one I want to repeat in a hurry and I have had to sacrifice a few things. But it’s definitely worth it. Oh my giddy aunt…. it looks BLOODY AWESOME. Well done Katie and Mr E. You are officially amazing. Love Love Love x a bazillion. Oh Katie, I love it!!! I found moving over from Blogger to WordPress stressful enough (I am not technically minded in the slightest) but your situation sounds like a complete ‘mare. Your site looks absolutely gorgeous. I updated my blog this week too and I can’t tell you how much happier I am now. It really does make all the difference, eh? I was so worried when you said that you were updating your website because I love your blog just as it was, but oh, THIS. This is so you. It’s clean and bright and beautiful and you’ve kept all of the best bits. It’s perfection! Good, good choice. Ooooo it looks amazing! Well done you and Mr E! It looks fabulous – you should both be proud. I wasn’t too sure about the magazine style layout for blogs when it first started cropping up – I’ve always liked being able to read several posts directly on the home page. But lately they’ve been really growing on me – especially with images as good as yours! Wow, love the new look, Katie. Sounds like such hard work transferring it all across, but well worth it. Wow it looks great – I love the aesthetics – so clean and fresh! I moved over to self-hosted WP a couple of months ago so I feel your pain with changes and broken links – I felt really unsettled for a couple of weeks. Your new look site looks amazing! 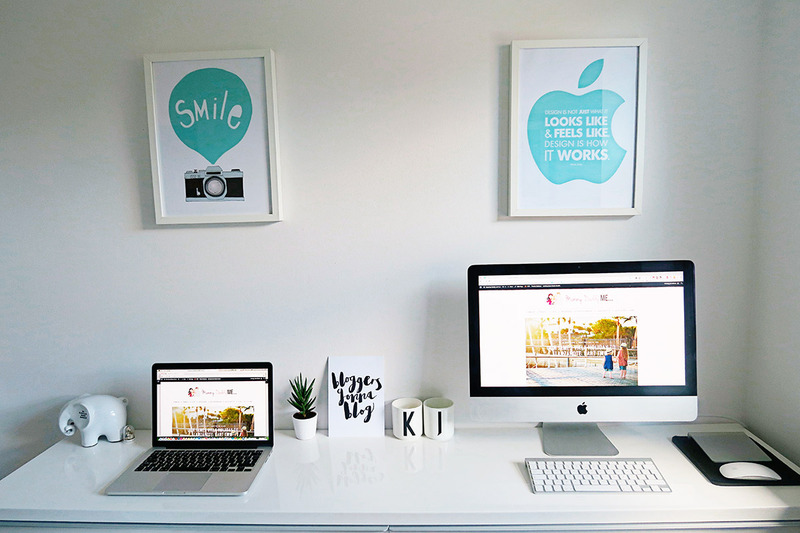 It looks fab – you should be so proud!byour blog is almost like your baby, a piece of art. I also totally relate to your comments about blogging as a whole. It really isn’t something you switch off from (as much as you try). I’m always thinking about it and athough that’s good, as it shows dedication, etc. it can be annoying at 10pm when you magically think of a post to share! I absolutely love it SOOOO Much Katie. It looks a million dollars. Way to go you. It’s perfect showcasing all your amazing photography and the beautiful captures of the girls all over. I love it completely. I have designers working on mine for past few weeks its so nerve racking I am scared I won’t like it but anything is better than what I have now. lol It’s pure beauty! Your blog looks lovely. Very modern and cool, and it really highlights your fab photography. Well done to your hard-working husband!